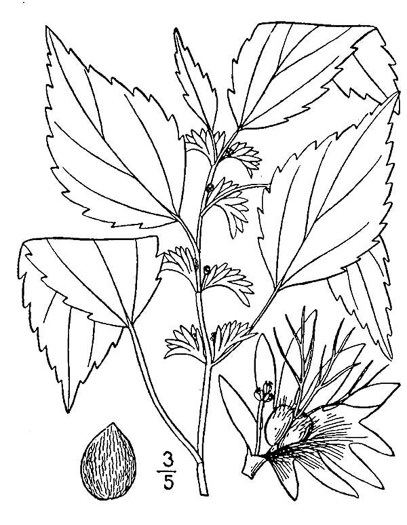 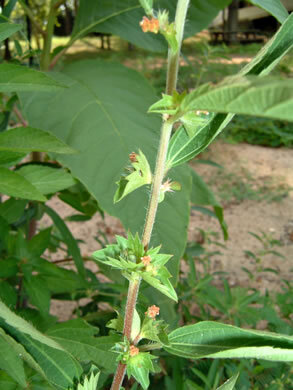 Petioles of principal leaves 0.8-4cm long, per Vascular Flora of the Carolinas. 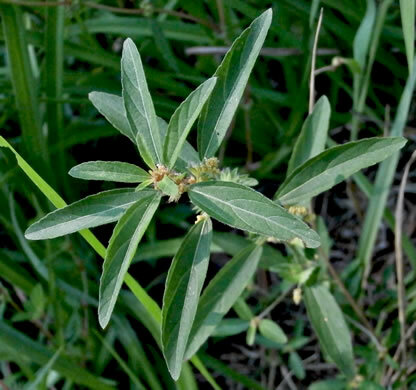 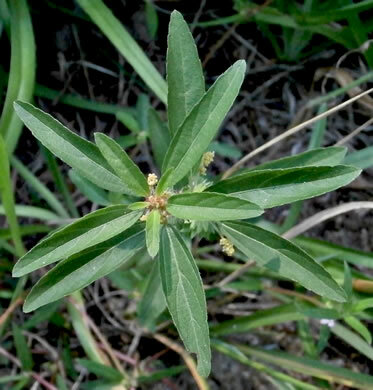 Leaves pubescent, elliptic to lanceolate, apex obtuse, margin crenate, per Vascular Flora of the Carolinas. 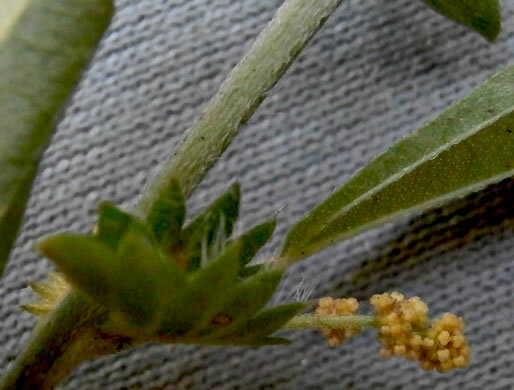 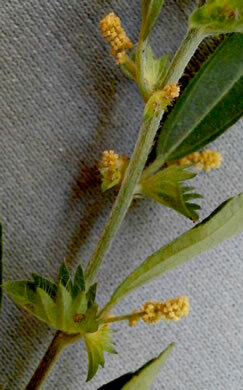 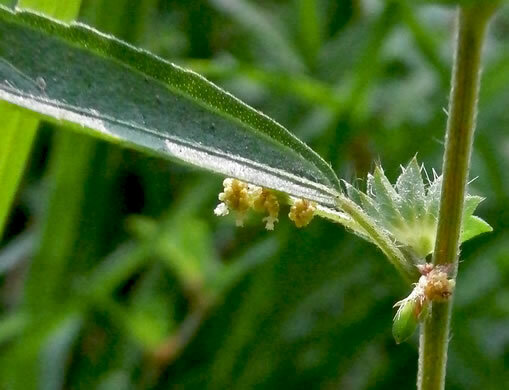 The longest lobe of bracts subtending pistillate flowers is usually > 3mm, per Weakley's Flora. 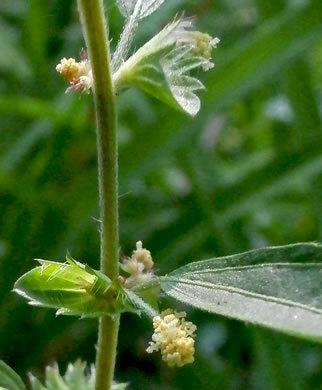 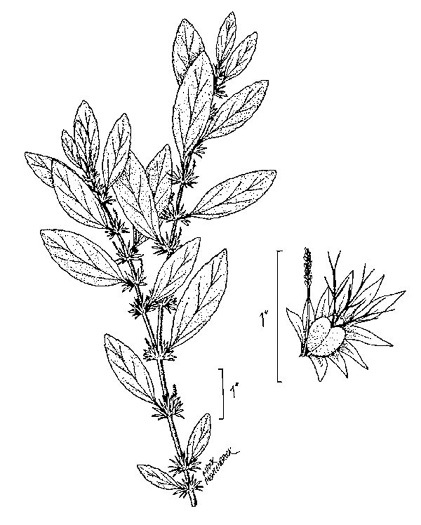 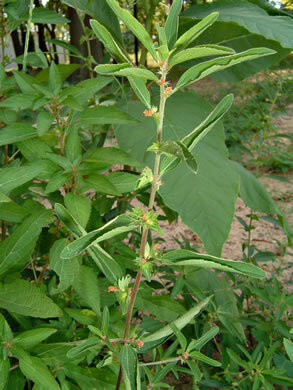 Bracts subtending pistillate flwrs usually w non-stipitate pointed hairs, per Weakley's Flora.